Sigma Pi also received the Spring 2016 trophy. The Campus Activities Board has announced that the Brothers of Sigma Pi are the recipients of the Fall 2016 Greek Laurel. 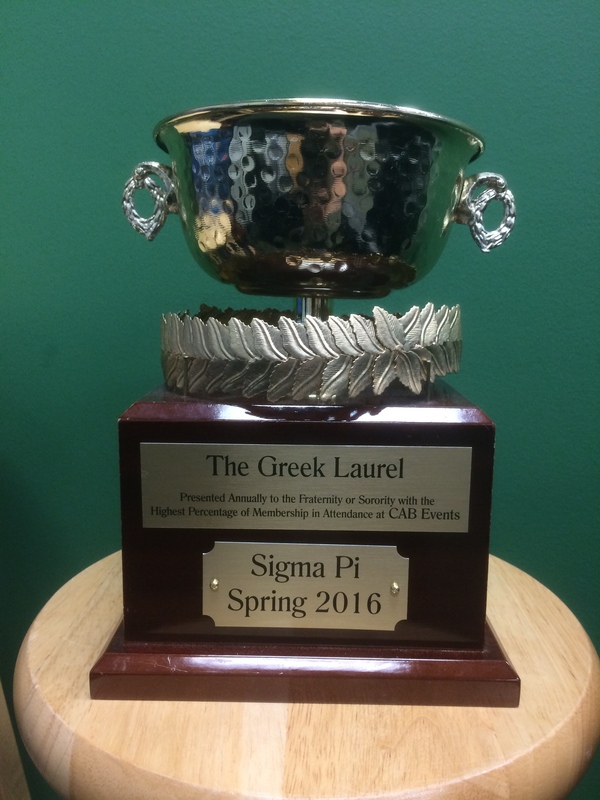 CAB awards the Greek Laurel each semester to one of the five Greek organizations on the Missouri Southern campus. The fraternity or sorority which obtains the highest percentage of membership attendance at predetermined CAB events throughout the semester is the victor. In addition to a trophy, CAB awards the winning organization with a check for $250.